Americans' average life expectancy dropped yet again in 2017, the Centers for Disease Control and Prevention reported Thursday, marking the third straight year that men's life expectancy has fallen. That three-year decline is a first in the 80 years that the CDC has been keeping reliable records. And it is thanks in large part to increases in drug overdose death and suicide, according to supplementary reports simultaneously released by the CDC. Life expectancy has been rising more or less steadily for decades, thanks to increasing health and living standards. There have been only a few noteworthy exceptions to this trend—the 1962/1963 drop, driven by the influenza epidemic, or the most recent decline in 1993 at the peak of the AIDS crisis. But now, co-occurrent crises have rendered life expectancy either flat or declining over the past three years. Significantly, it is arguably America's most successful populations—men generally, and white women and men both—who are experiencing the decline, yet another indication of serious issues within America's majority population. 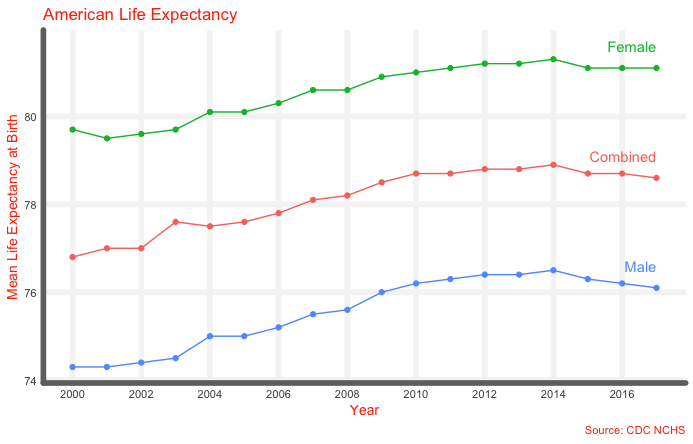 Declining life expectancy is linked to rising mortality, and 2017 saw statistically significant increases in deaths from a handful of major medical issues—stroke, Alzheimer's, and the flu, for example. But the most concerning increases were among drugs and suicide deaths, both of which rose significantly compared to 2016. 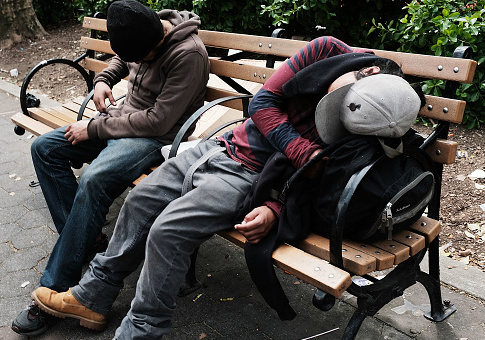 Newly revised data released concurrently by the CDC Thursday showed that some 70,000 people died from drug overdose in 2017, fewer than previously thought but still a shockingly high figure. 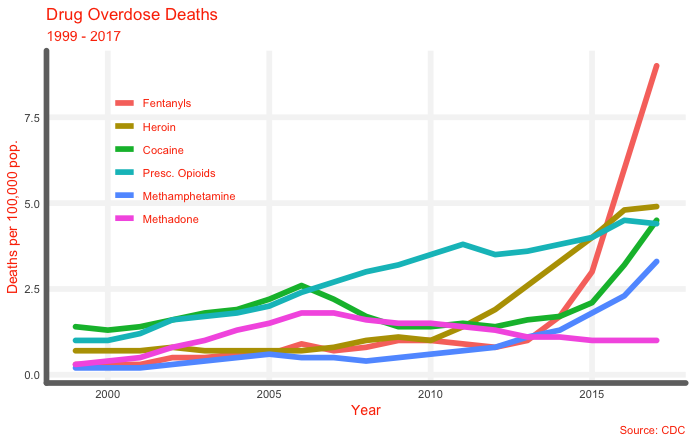 The plurality died from deaths involving fentanyl or its analogs, deadly synthetic opioids which have gone from non-existent to nationwide in barely five years. Adding to the fentanyl deaths are those from heroin and prescription opioids, both drugs which are often adulterated with synthetic opioids. But increases in cocaine overdoses (especially among African Americans) and methamphetamine overdoses are also driving up death rates. Recent analysis from the Drug Enforcement Agency indicates that drugs continue to grow cheaper and more prevalent as they flow freely across the southern border and in to the country through the U.S. mail. CDC analysis of preliminary 2018 drug overdose figures indicates that the increase in deaths may be slowing, but it is unclear if this trend will have persisted through the rest of the year. 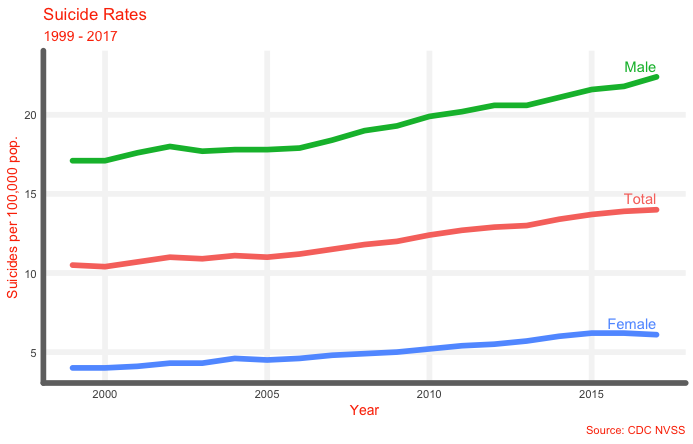 As drug overdose deaths have risen, so too have suicides, steadily increasing among already-suicide-prone men. The CDC's analysis noted that suicide rates have risen most percentage-wise in rural areas and among women across all age groups. These co-occurrent trends have caused some commentators to invoke economists Anne Case and Angus Deaton's notion of "deaths of despair," deaths brought about by declining social capital and happiness amid an increasingly deracinated society. Whether or not this is true—and the extent to which the two trends are linked more generally—remains unclear. This entry was posted in Issues and tagged Drugs. Bookmark the permalink.